Veterans are all around us in a variety of care settings. This webinar will increase and strengthen the chaplain's skills for end-of-life spiritual interventions for veterans from different military cultures. Practical and useful ideas will be shared based on the presenter's 15 years of working with veterans. When you purchase this webinar recording, you will receive a link that will enable you to watch the recording and access supplemental materials directly from our website. You'll be able to hear and see the complete presentation, including Q&A with the audience. Penny V. Phillips MDiv BCC is the hospice staff chaplain and hospice volunteer liaison at Veterans Administration Health Care System in Palo Alto, CA. 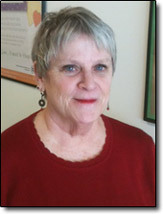 Previously, she served as spiritual care counselor and bereavement coordinator at Stanford Home Hospice in Palo Alto. She provides training to medical staff, hospice teams and community groups on end-of-life spiritual care issues and has spoken at regional hospice conferences.